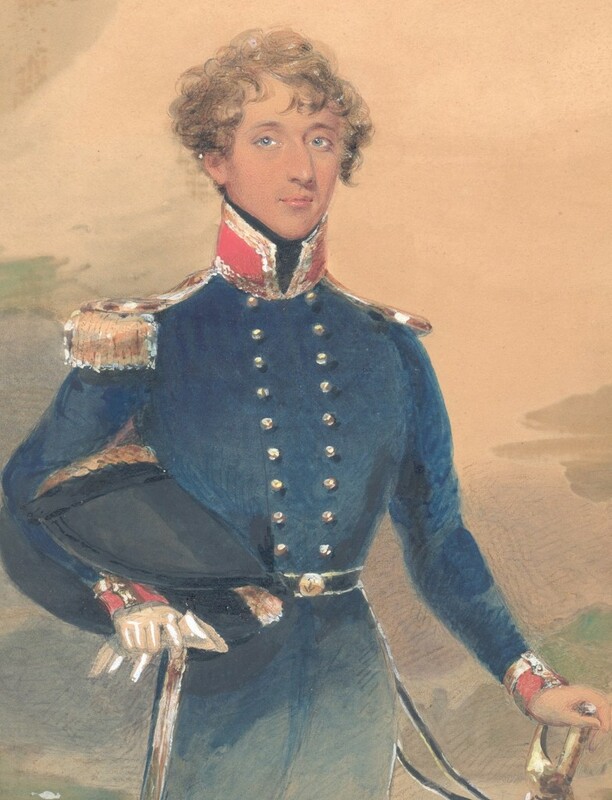 This is a watercolour portrait of a dashing young naval warrant officer, sword in one hand and staff in the other. He is wearing a double-breasted blue coat with red facings trimmed with gold braid with a right epaulette, a left shoulder-strap and an anchor-embossed buckle on the belt. His hat is tucked under his right arm. 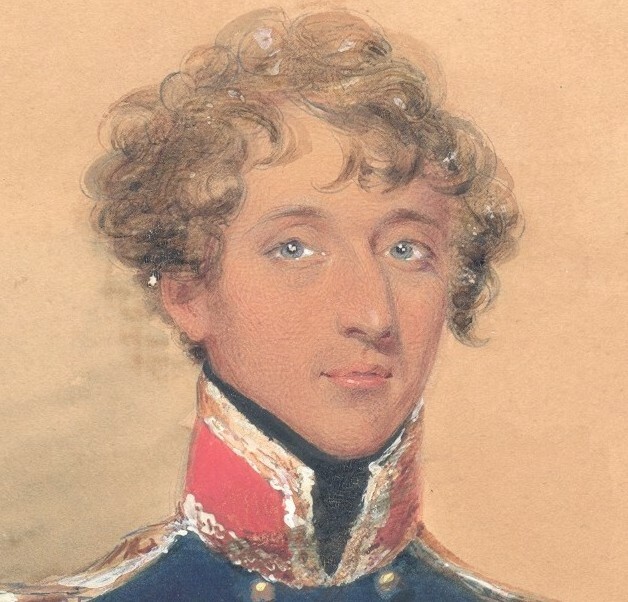 The style of uniform dates the portrait between 1832 and 1843. 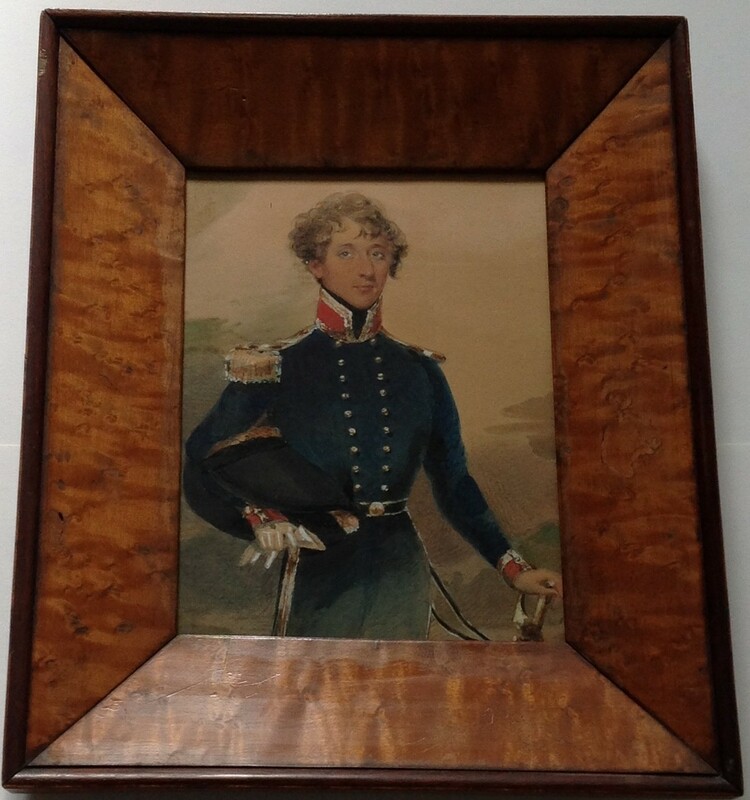 The portrait is signed on the reverse: ‘By Mrs Mannin / late Miss Millington / Artist / 93 Strand / London’ and resides in a handsome bird’s eye maple frame with an outer rosewood veneer trim. 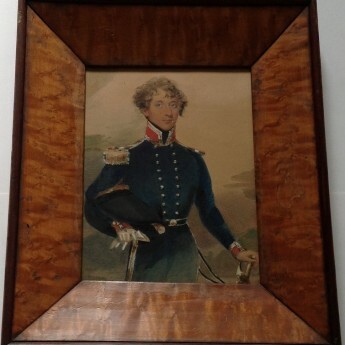 Apart from a tiny spot of paint loss to the side of his ear, the painting is in excellent condition. Believed to be a sister of miniaturist J. 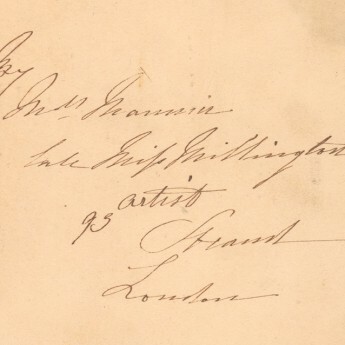 A. Millington, Mary Millington was taught painting by Sir W. C. Ross. 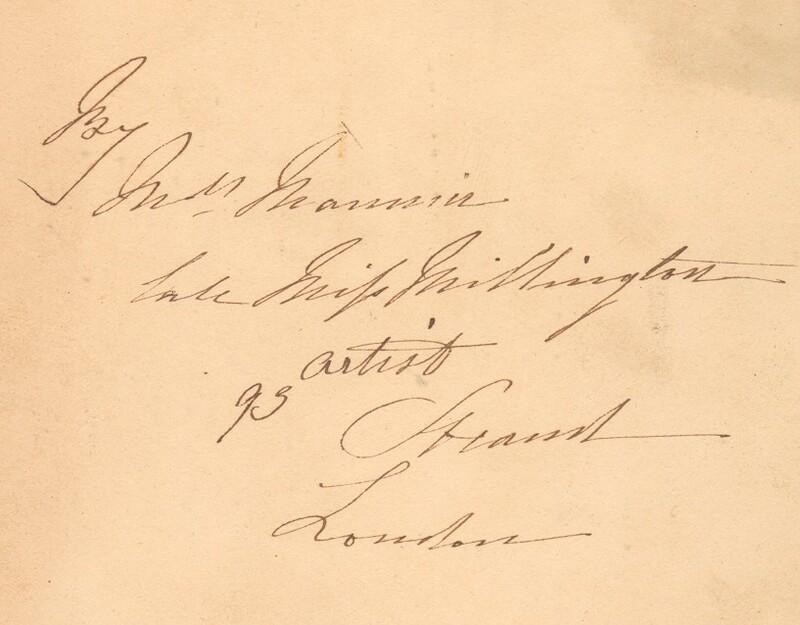 She also painted portrait miniatures and exhibited at the Royal Academy under her maiden name 1829-1832 and then under her married name 1833-1857. Her work is critically acclaimed.